Hairdresser by appointments only 336-764-5559 or 336-409-8764 and join me on facebook. Shannon H Fansler / Owner/ Stylist. Over 28 years of cosmetology experience specializing in color, cutting, styling, foiling, &perming. 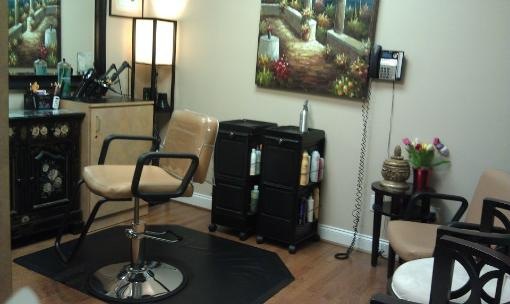 Also offers manicures, Pedicures & facial waxing. Studied at the Aveda Institute in St. Paul, Minnesota. Christine Valmy school of Esthetics in New Jersey. We offer the latest styles & products by Paul Mitchell, Sebastian, Joico & Moroccanoil, Rusk, Goldwell, Malibu & the latest by Matrix. Uses a Professional color (Matrix, Goldwell, Wella, Kolestone just to name a few) that will completely cover your gray.